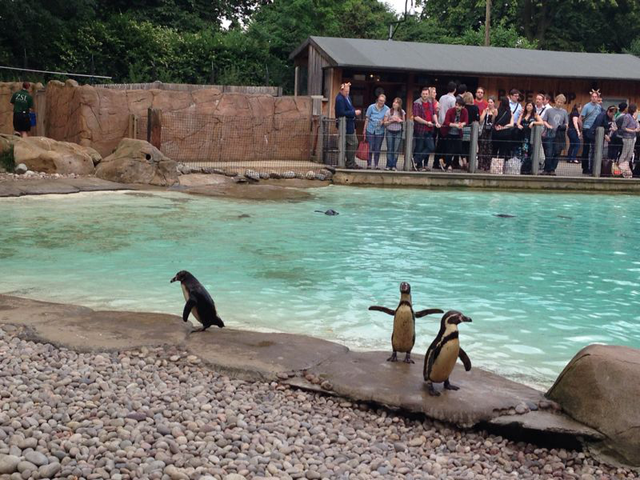 Zoo Lates in London is a must, people. I don't know how I've been living in this town for 12 years and have never attended this fabulous Friday night out. Admittedly, when I was younger I was absolutely obsessed with the zoo. 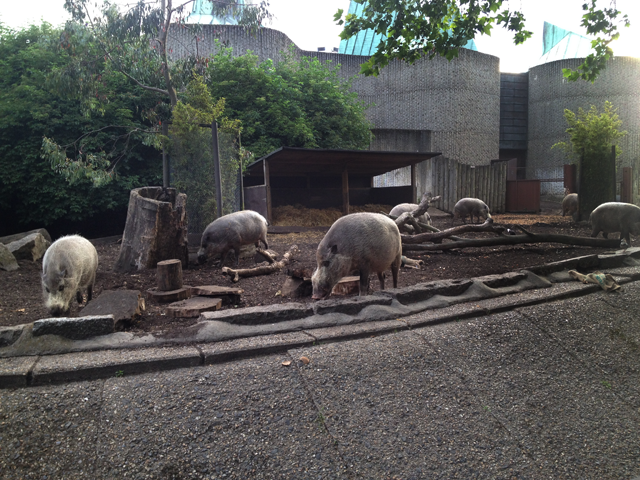 The animals, the shows, the people and the gift shop (naturally) made the zoo an adventure to look forward to. As an adult, I never really thought about going back. I thought instead I'd wait and do that again with my own kids one day, to rediscover the magic through young eyes. 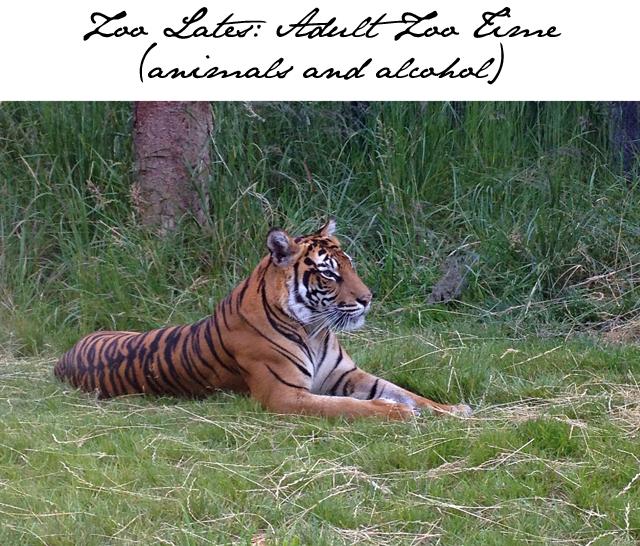 However, when Mr. FFG suggested a night out with friends at the zoo, I was five again and looking forward to making eye contact with some hungry tigers. 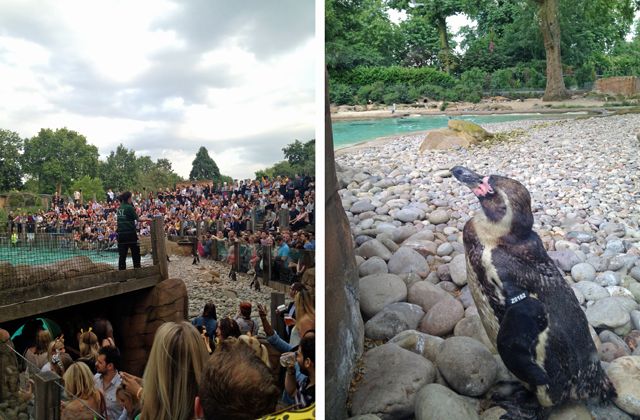 Every Friday, in June and July, the London Zoo opens their doors to an adults-only crowd for what's called Zoo Lates. Running from 6-10pm, the event includes the opportunity to visit with over 17,000 animals. The penguins put on quite a show, and that's just the start of the animal entertainment scheduled for the late night visit. If you find yourself sick of "monkeying around," take some time out and sit for a comedy show or head to the food stalls. 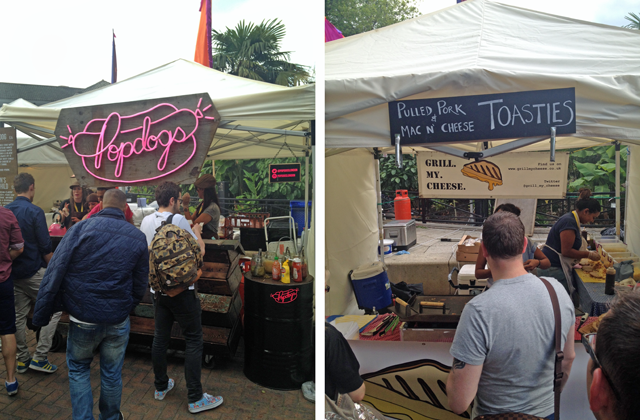 You'll find everything from jugs of Pimms to gourmet hot dogs. You'll also want to prepare yourselves for some absolutely unexpected sights. There are drag queens, women on stilts and dozens of people wondering around in animal themed onesies. As the night progresses and the animals get put to bed, you'll be led back to the general area where food and drink continues to be served. Stop by the taxi Photo Booth to capture the evening or step across the way to participate in the silent rave. 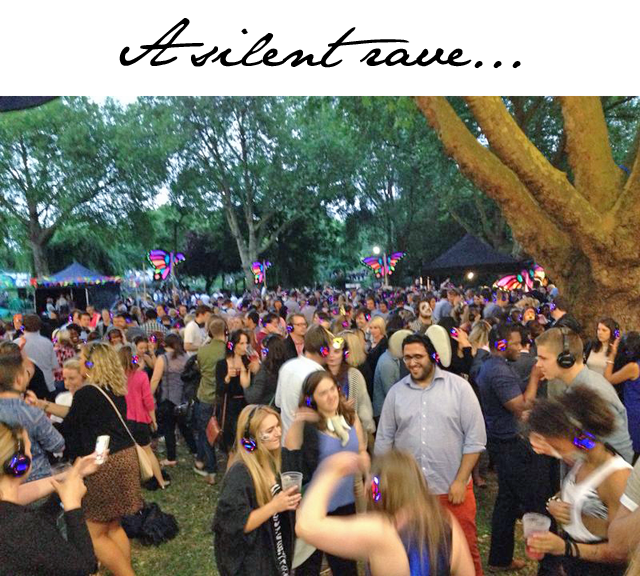 Yes, there is a silent rave. What is that you ask? It's a rave where people are all wearing headphones. If you should be an onlooker, not wearing headphones, this is the most hilarious sight you will ever experience. The combination of alcohol and some loud crazy music piped through earphones brings out the crazy curves in us all. It's entertainment at its finest. In a nutshell, this is an experience every Londoner, or visitor to London, should experience. 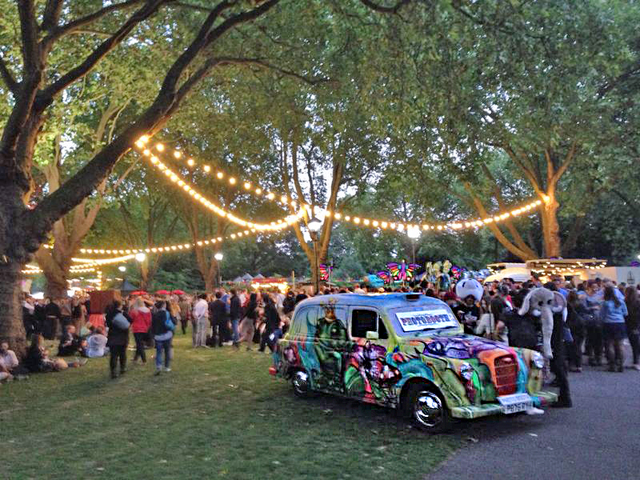 Book now for Zoo Lates as these nights sell out instantly. I can now see why. It's one of the best late night experiences I've had yet in London. So... much... fun!